Confession Time: My son keeps bringing in weeds into the house to bring me “flowers” and I secretly throw them away hoping that he will forget. I just can’t bring myself to tell him to his face to stop. To curb his enthusiasm (and keep the weeds out of the house), I thought we could make some cute planters that he could take care of. 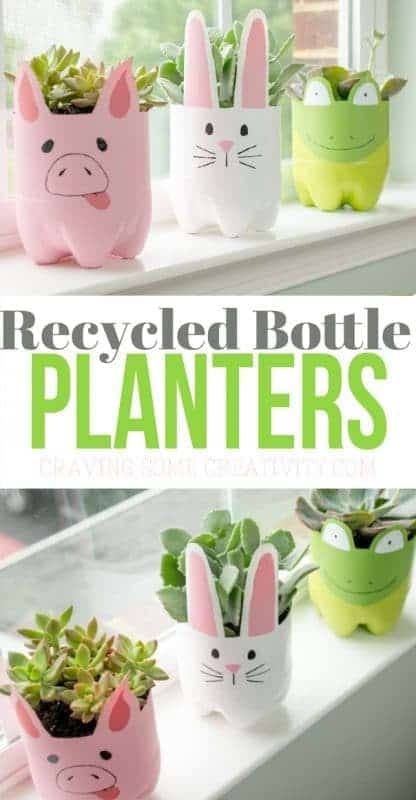 Something super cute and super easy, like recycled soda bottle planters! Aren’t they just adorbable?! 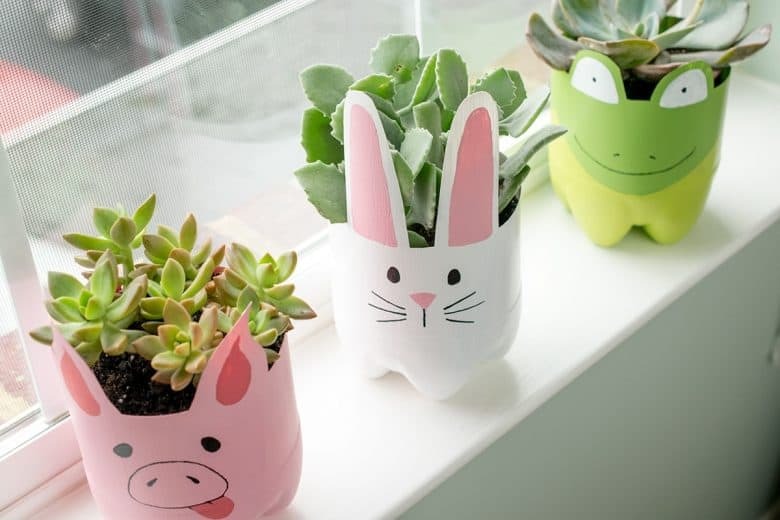 I love this little water bottle planter craft because it looks so cute with succulents and chances are that it will last for awhile. Cactus or herbs would also work. 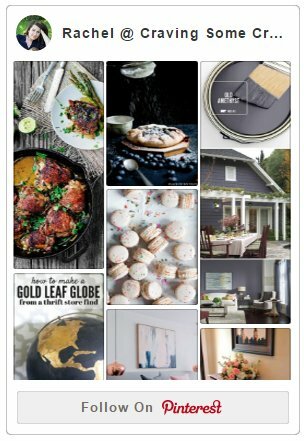 Paint – for best results, use a paint for glass or other non-poreous surfaces. We use Plaid’s glass paint which you can find at most craft stores. You can tell it works on glass because the lid has a picture of a wine glass on it. The first step is to clean the bottles thorougly. To remove the labels, we used Goo Gone Adhesive Remover. It’s my favorite adhesive or gummy stuff remover (even works on carpet). After the bottle was clean and dry, I drew the ear shapes and cut the perimeter. 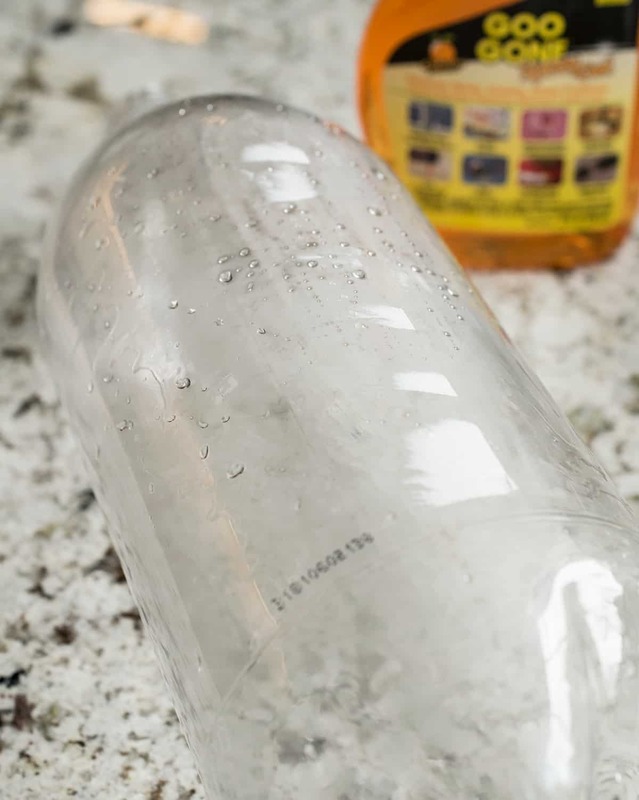 We simply cut holes in the bottom with an x-acto knife to allow for excess water to drip out, but you can also make a self watering soda bottle planter. Watch the video at the bottom of this post to learn how. A ruler makes it easy to create a straight cut around the edge. Then I painted two coats of paint, letting dry between coats, and drew the faces on. 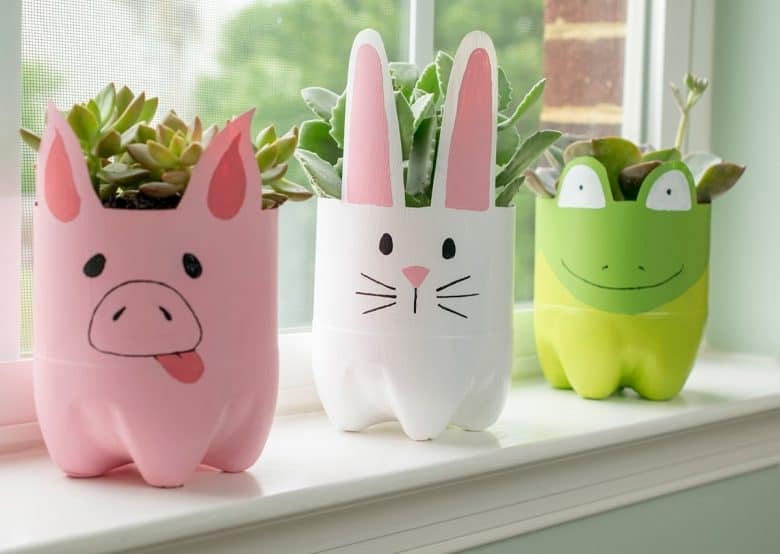 My son chose to create a bunny, a frog, and a piggy for his planters. I had more options like a bear, panda bear, cow, fox, dog, cat, and even a swan.